By reducing India to a non-Muslim state, BJP’s Citizenship Amendment Bill buys into the Idea of Pakistan, which asserted that religion was the proper determinant of nationhood, writes Shashi Tharoor. Justice A.K. 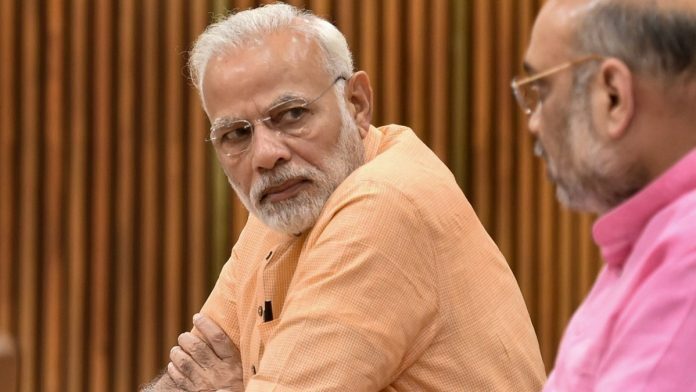 Sikri, part of a three-member panel that decided to remove Alok Verma as CBI chief this month, was nominated by the Narendra Modi government in December to the vacant post of president/member in the London-based CSAT, reports Maneesh Chibber. India is mushrooming with Deve Gowda wannabes because being a former prime minister is better than being a former chief minister, writes Shekhar Gupta. Indian Police Service officers have taken strong exception to recommendations of P. Chidambaram-led parliamentary panel that has suggested reduction in IPS hegemony over the Central Armed Police Forces, and for their own cadres to rise to the top, reports Sanya Dhingra. It’s an election year in India and the ‘josh’ to produce jingoistic films like Aditya Dhar’s Uri is definitely high, but it’s disappointing to see a powerful, influential industry like Bollywood resorting to reductive, hyper-nationalist films, writes Mahwash Ajaz. There’s a whole new universe of elite Indian schools where the rich and illustrious educate their children, but few of them ever choose to stay in India for further studies, report Nandita Singh and Kritika Sharma. As Kanak Sarkar gets barred from teaching for comparing a girl’s virginity to a ‘sealed water bottle’, students and alumni of Jadavpur University lay bare a litany of allegations against the professor, reports Nandita Singh.